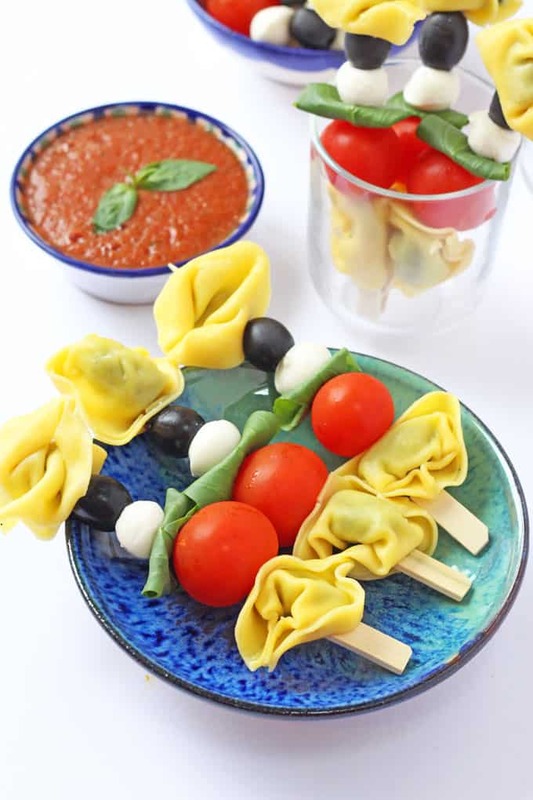 A fun way of serving tortellini; on a stick with tomato, mozzarella and basil. Great for kids and picky eaters! Ok, so I know it seems like nearly every recipe I post these days is something or other on a stick. But there is a reason for it! Picky eating levels in my house have reached an all time high and the only way I can get my fussy eater to try most of the food I make is by sticking it on some kind of wooden implement! Tortellini Skewers have been all over Pinterest recently so I decided to have a go at making my own version incorporating a Caprese Salad too. I’ve set out the ingredients below but to be honest it’s probably a bit far fetched calling this a recipe as it’s just so easy. 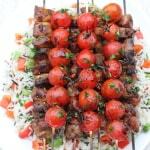 Hence I haven’t included any quantities or measurements as you can add as much or as little as the ingredients that you want to your skewers. Heck, even change the ingredients altogether! The dipping sauce is just as easy. 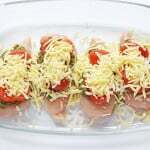 It’s simply passata, fresh basil and dried mixed herbs or oregano blitzed together in a blender. Told you it was easy! 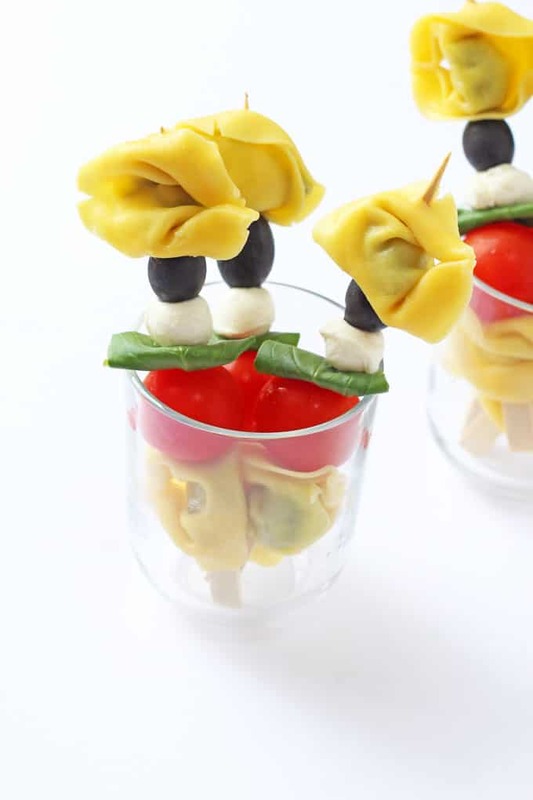 A fun way of serving tortellini. 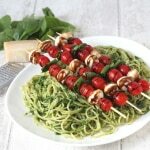 on a stick with tomato, mozzarella and basil. Great for kids and picky eaters! 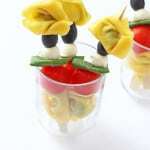 To make the tortellini skewers simply spear the cooked tortellini together with the other ingredients onto the skewers. Make the dip by blending the passata, basil and dried herbs together until combined. Love food on a stick! Food on a stick is always the best! Thanks Emily. Yes they’re dead easy, I love recipes like that! I have to admit I still have a soft spot for pineapple on a stick, ha ha!! !